The mesmerizing conclusion to the fantasy epic Addicted to an enchantment that turns pain into pleasure?and bound by oaths he refuses to abandon?Valen risks body and soul to rescue one child, seek justice for another, and bring the dying land of Navronne its rightful king. "I was no grand thinker. No mighty warrior. No martyr or hero or scholar." 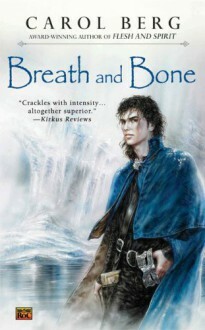 Breath and Bone, the sequel to Flesh and Spirit, is again a masterful work of fantasy. These two books are similar to The Name of the Rose and The Name of the Wind and yet Berg has a singular vision.I highly recommend both of these books.